Good printing services are of utmost importance to almost everyone and thus cheap online printing services can never get unnoticed. It is very important to get the best online printing services in affordable rates and here’s how you can make your search easy. 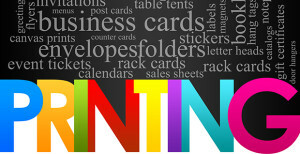 There are many printing services available online in San Diego but it is very important that you get best of services. The Printing Services in San Diego can provide a variety of services like UV or matte/dull coating on the cards or they may offer free printing on the back side of the cards. Many also offer heavier than normal business cards in fewer prices. However, it is very easy to get deluded with the low price these companies offer, hence never compromise on the quality of printing. The printing company that you have chosen should provide you with a free proof and only after your approval it should go for printing. Thickness always matters, so make sure the printing company designs thicker than usual cards for you. Ensure that there are no typos or any other silly mistake in the printing. The San Diego Printing Company that you have chosen should be well versed in the work it is doing and should also involve professionals in doing the work. Business cards when printed well can be highly beneficial for your company hence do not compromise on its quality. MSMGI is one of such services that you are looking for printing options. The experts are experienced in providing printing options as per your need and requirements. We create Business Cards, Brochures, Flyers, Rack Cards & more based upon design tailored to your business and brand with high-quality printing and finishing and best of all at a budget that works for you. With our print knowledge, we are able to offer extremely low-cost print without compromising on quality, so you get the high level of service you require throughout at a cost that suits your budget and affordability for your business. For more information on how MSMGI, can help in your all your Design & Printing needs, contact us online or call us at 858-733-1607 or by e-mail at contact@msmgi.com.